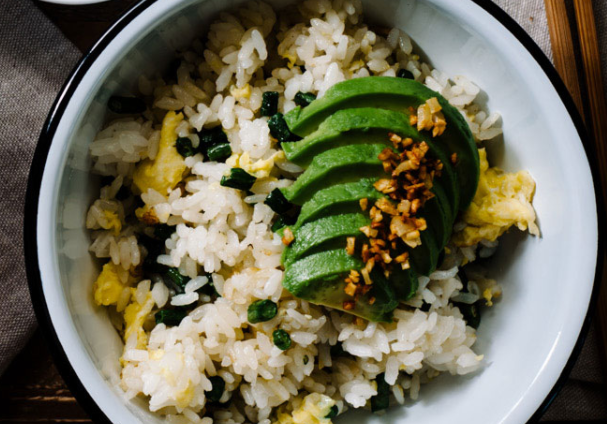 This recipe is a simple fried rice served with creamy avocado and topped with crispy fried garlic. Trust me, the crispy garlic makes all the difference. In the same wok, add ¹/₂ tsp oil and cook the green beans for 1-2 minutes and take out onto a plate. Finally, add ¹/₂ tsp oil into the wok again, toss the rice with the scrambled eggs and green beans, season with salt and pepper and let heat through.